More and more businesses recognize what is at stake and are grappling with this ongoing change. Consumer goods company Unilever, for example, has estimated that extreme weather events, such as drought and flooding, cost it 200 million euros in 2011 alone. Supermarket chain Asda, meanwhile, has found that only 5% of its fresh produce supply is unaffected by climate change and that 370 million euros of value across its business is at risk. With so much at stake, companies in many industries are already responding. Utility Anglian Water, for example, launched its “Love Every Drop” campaign to encourage customers in East Anglia to save water, while reducing operational emissions and generating its own renewable energy. Meanwhile, Thames Water has developed a risk assessment process as part of its investment planning to provide resilience not only to current flooding risks but also a range of possible futures. At the University of Cambridge Institute for Sustainability Leadership (CISL), we’ve worked to communicate the implications of climate science to a business audience. 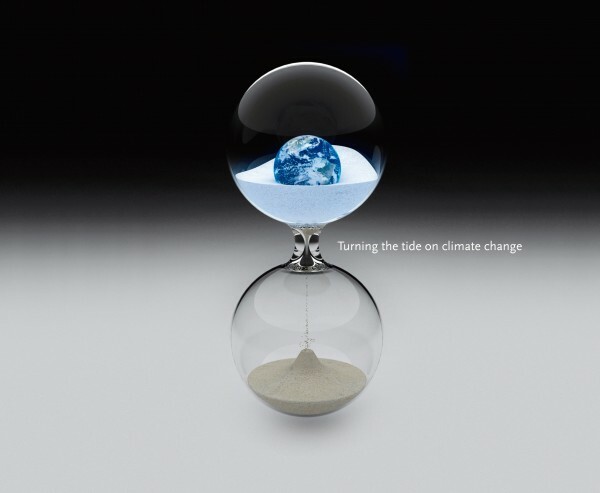 There are a number of ways in which climate change can affect businesses in different industries, including rising temperatures, rising sea levels, changes in rain patterns, shrinking glaciers and acidifying oceans. As these impacts become more dramatic, we expect there will be increasingly ambitious policy responses. One industry highly attuned to climate change is insurance. CISL works closely with ClimateWise, a group of more than 30 major insurance companies, which warns that if left unchecked, climate change will render large swathes of the economy uninsurable. Another area that will be affected by climate change is energy. To keep global warming below two degrees and retain a climate with some degree of stability, the Intergovernmental Panel on Climate Change agrees that the additional investment required in energy supply alone could range from $190-900 billion. 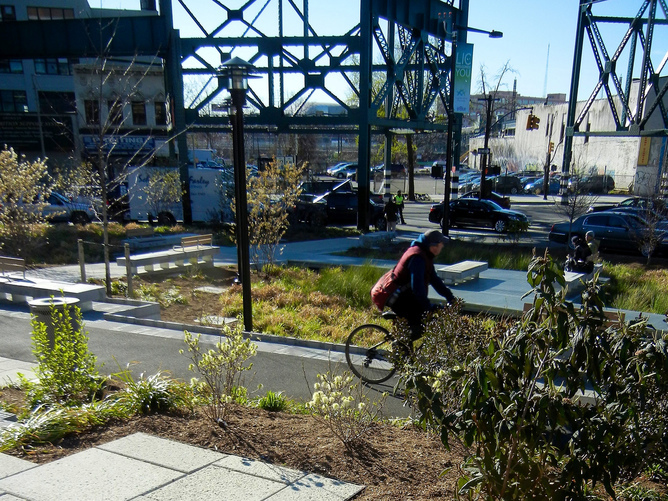 Smart city development policies can address climate change-related issues, such as making cities prepared for flooding, and, if done well, make cities more healthy and livable. This photo shows Queens Plaza in New York. But while the scale of the challenge is daunting, investment carries a return, and there are clear commercial and social benefits from taking action. The recent New Climate Economy report estimates that somewhere between 50-90% of the actions required have benefits that outweigh their costs. For example, better-planned, denser cities have a lower carbon footprint, but also lower running costs and better public health. On the other hand, some major investments in new technologies only have climate payoffs, such as the development of carbon capture and storage technology. CISL is working with business leaders to help make this case in a practical manner. For example, we’ve tried to demonstrate that safeguarding “natural capital” like water, forest and soil in business supply chains from the impacts of climate change reduces costs, protects supply, enhances brand and even generates revenue. Companies in all industries will need to respond to and manage the risks from more extreme weather events. 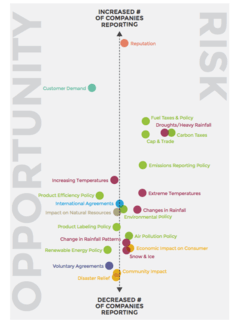 However, for many companies climate change can lead to new markets and new opportunities. Increasingly, businesses are finding commercial returns in services that provide better energy efficiency, such as LED lighting, smart electricity metering or home insulation, or low-carbon energy sources solar and wind. 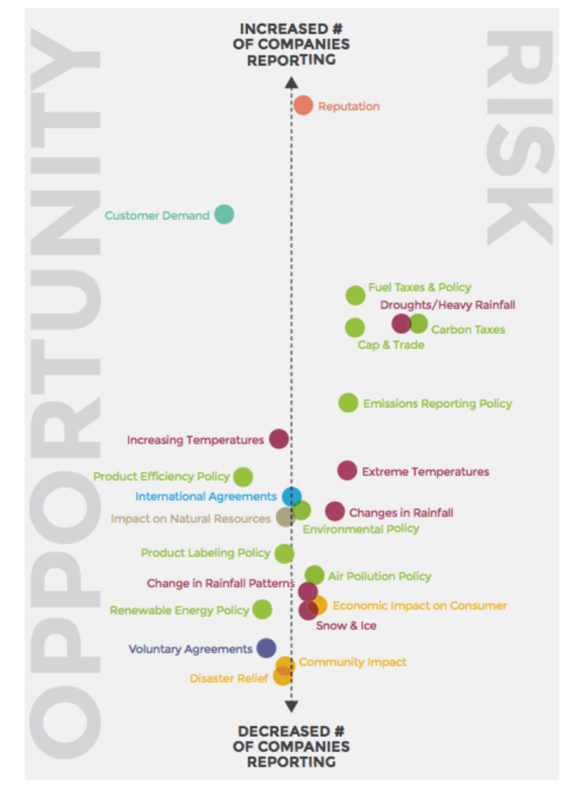 Motivations for business to decarbonize. The most far-sighted businesses are those that realize this and are actively taking part in efforts to shape this conversation and call for a well ordered and business-friendly response to the risks of climate change. Many people in industry expect the UN climate talks in Paris in December to be pivotal. If successful, these talks will provide an international deal that creates a clear signal to investors and businesses about the shape of the future they need to invest in. We’ve been here before, of course, with Copenhagen in 2009, where world leaders were meant to provide the breakthrough leadership that put the world on a path to a low-carbon future. However, the talks descended into backbiting and confusion, and the result was too tentative and unclear to create the confidence and certainty required. We cannot let this happen again; business needs certainty, stability and direction to plan ahead – not confusion or the ever-rising costs of unaddressed climate change. A strong international agreement on climate change is almost certainly the single action that, more than anything else, can help galvanize action and keep the costs of responding to climate change down. The alternative to globally coordinated climate action is not lack of action; it is uncoordinated, piecemeal, stop-start responses that will prove more expensive, harder for businesses to manage and less effective. Companies who see themselves as gearing up for climate change should ask themselves one thing: how are they going to influence government policies so they align with their corporate commitments of preparing for climate change? The Prince of Wales’s Corporate Leaders Group, also hosted by CISL, is gathering business leaders from across Europe to call for a robust climate agreement. Individual business action is important, but by standing side by side with others from a wide range of sectors, the progressive business voice is stronger and louder than ever. Working with partner organizations from around the world in the We Mean Business coalition, the progressive business presence is increasingly being felt across the globe. This voice is calling for Paris to set a long-term global goal of net zero emissions, deliver an effective carbon price to drive emissions down and investment into new low-carbon technologies, and ensure there are clear rules and accountability to propel progressively stronger climate action. While some are demonstrating leadership, too many companies are unprepared for climate change and too concerned with the likely short-term impacts of action. They should look up from the floor and speak up about the importance of mitigating risks and seizing opportunities ahead.